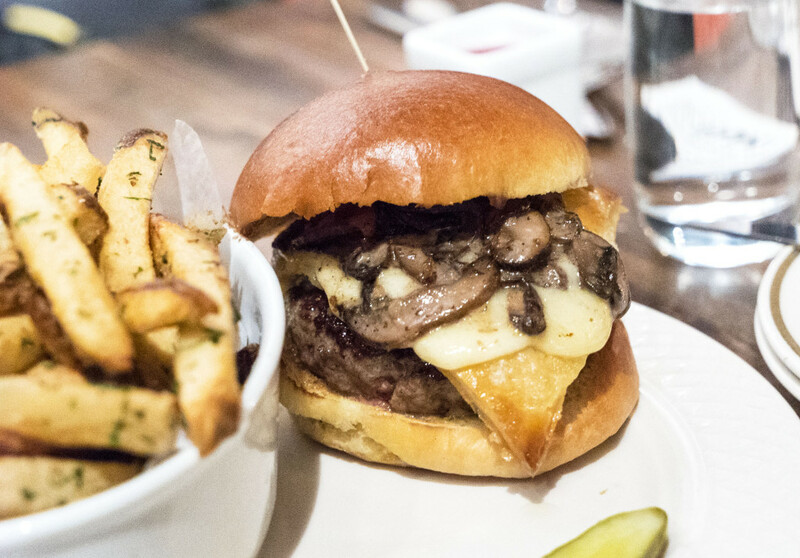 I went to Church Street Tavern with my wife and the founder of The Dishelin Guide and the DishEnvy app to finally check out their acclaimed burgers. The talk is accurate. These burgers are fantastic! 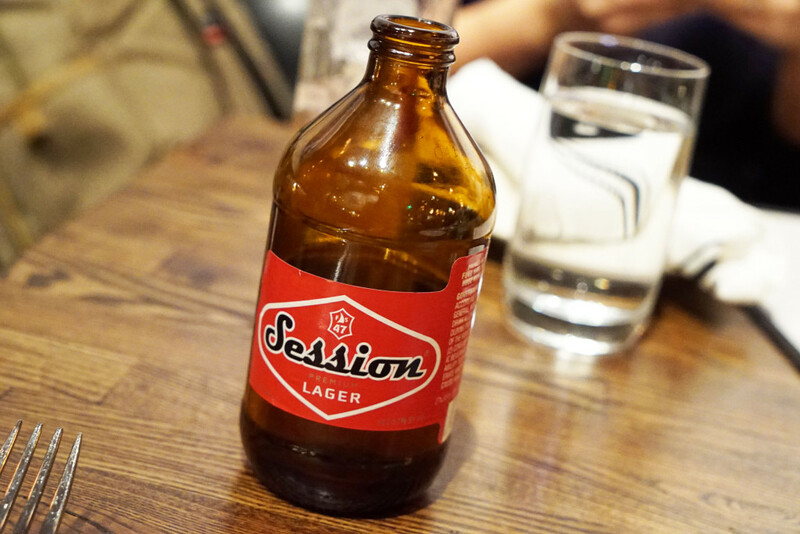 We tried two: The Wellington and the CST Burger. 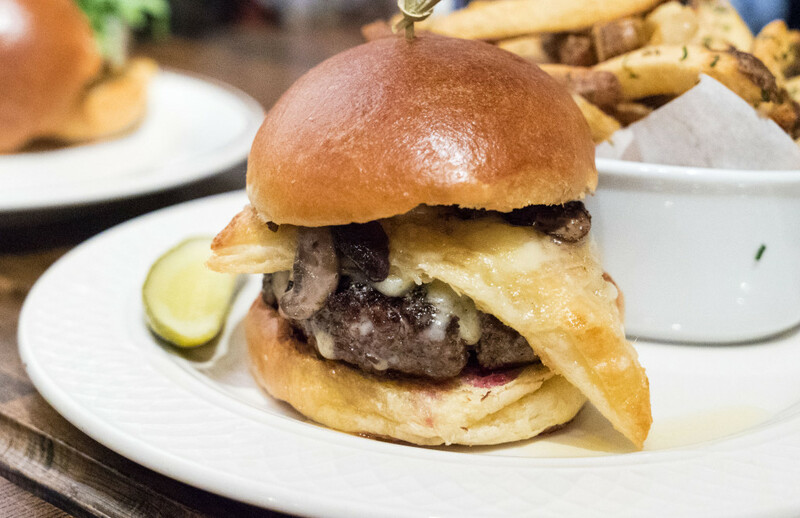 Let’s start with The Wellington: the patty is topped with mushroom duxelles (french for chopped mushrooms, onions and shallots sauteed with butter and herbs), foie butter and a cheesy pastry crisp that mimics the puff pastry that typically surrounds a Beef Wellington dish. You can see it sticking out the side here like a piss-clam tail, or a limp geoduck phallus. I guess those words aren’t the best to use when describing delicious food, but that’s what comes to mind. 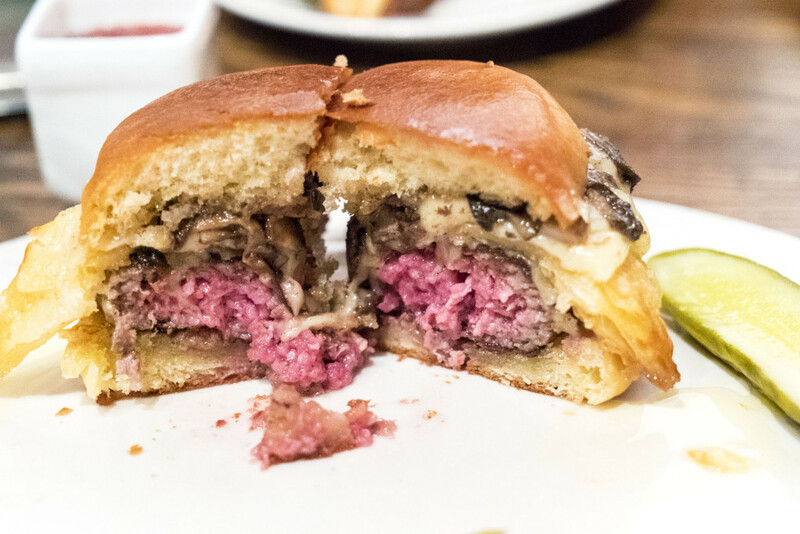 Anyway, I was expecting the burger to be wrapped in the pastry, just like traditional Beef Wellington (pictured below), but that wasn’t the case. The burger was good. It was cooked to a nice medium rare, and the toppings were delicious. The bun held up nicely, didn’t crumble and wasn’t too stiff. 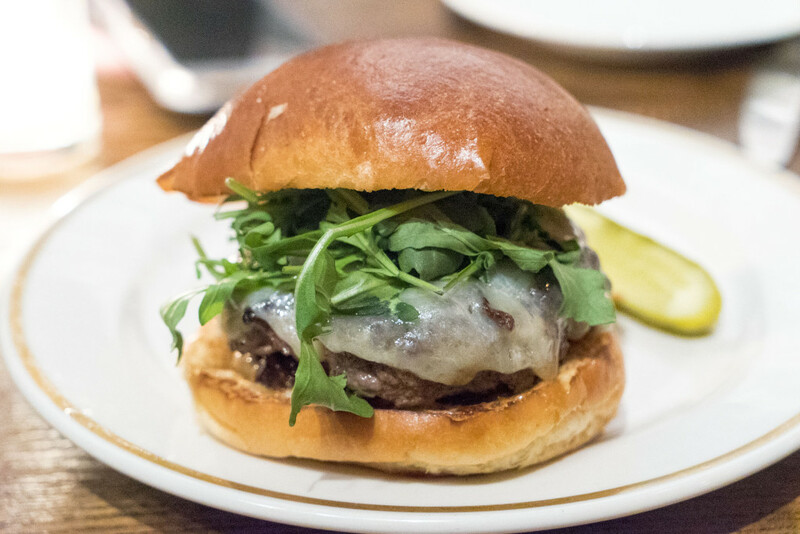 The better burger of the pair, however, was the namesake CST (Church Street Tavern) Burger, which was topped with bacon-onion jam, aged cheddar, and arugula. 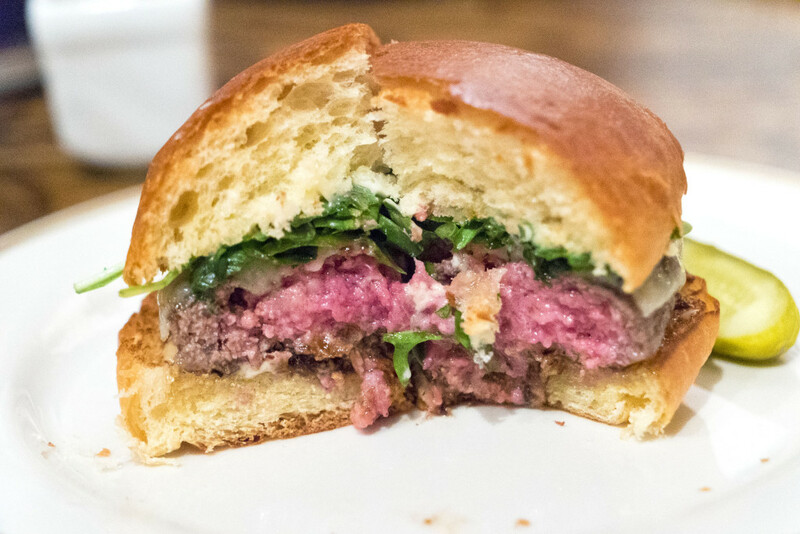 It was seved on the same toasted brioche bun, but this burger had a much better flavor to the meat, perhaps from better seasoning and searing. 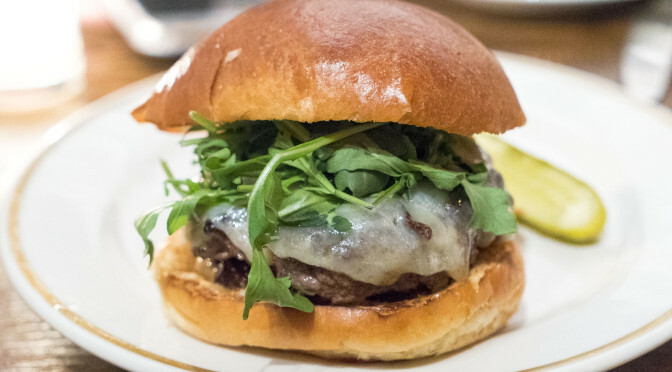 Cooked to a perfect, juicy medium rare, this burger really hit the spot. I’d definitely go back for another. The big surprise of the evening, though, was this amazing porchetta sandwich that we saw on the menu. 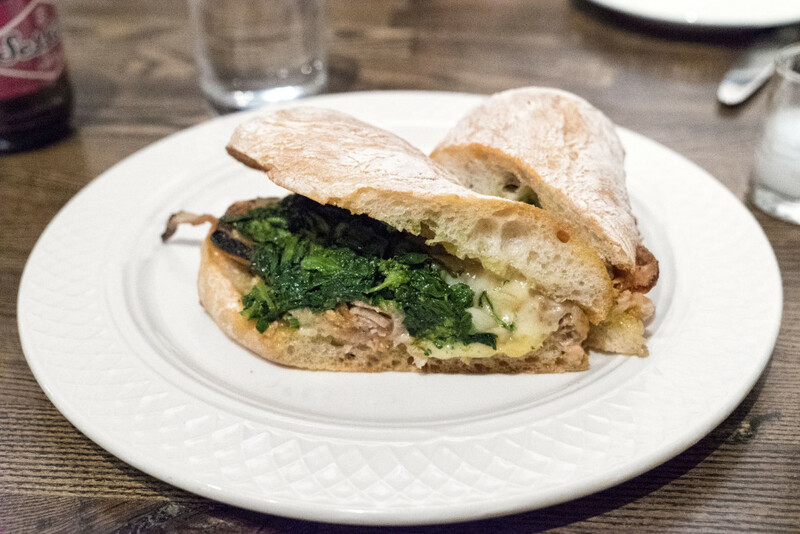 It’s a nice, tender pork sandwich with sauteed spinach and melted Swiss cheese. There were even some crispy pork bits in there for texture. The spinach had a nice hit of garlic to it without having any chunks of the breath-killer hidden inside. And the Swiss was surprisingly tasty to me. I didn’t expect to like Swiss with Italian pork, but it worked. I highly recommend this sandwich. 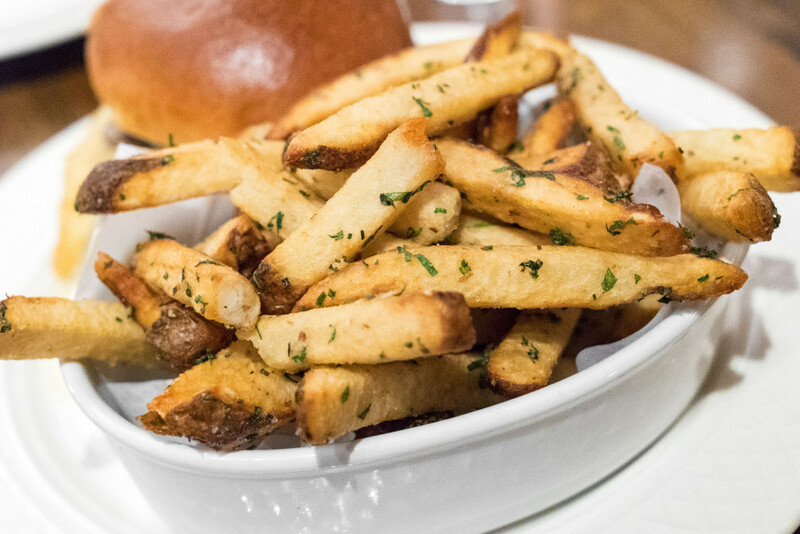 The fries here are equally satisfying. They’re slightly more squat and thicker than most places, but they’re cooked perfectly and generously-yet-simply seasoned with salt and herbs.